Kaashi In Search Of Ganga Movie Review: While He Searches Ganga, I Search For My Will To Survive This Film! Home » Reviews » Kaashi In Search Of Ganga Movie Review: While He Searches Ganga, I Search For My Will To Survive This Film! It's not just the story that falls flat, it's the editing, cinematography and even music which fail to add even a single good thing about the film. What’s Good: Every movie that’s running in theaters right now apart from this, yes even Namaste England! What’s Bad: The fact that the lead actor of this film has done movies like 3 Idiots & Rang De Basanti! 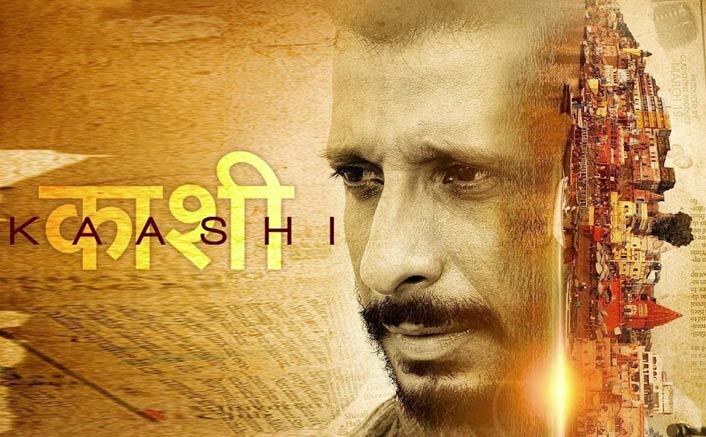 Kaashi (Sharman Joshi) is an angry looking man living in Kashi/Banaras/Benaras – city located on the banks of river Ganga – has a sister named as Ganga (Priyanka Singh). 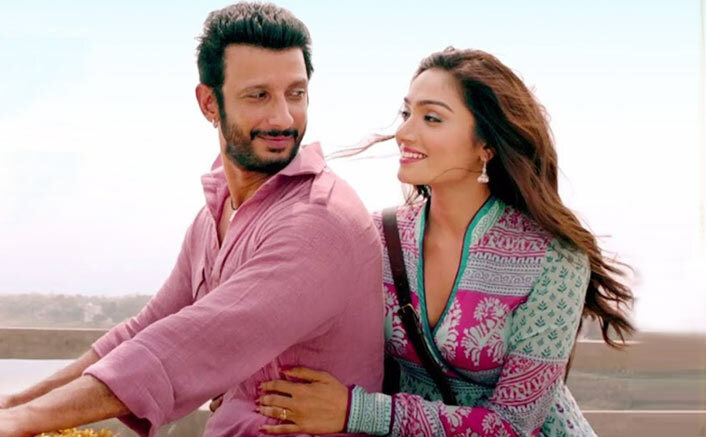 He meets a journalist Devina (Aishwarya Devan) who wants to interview him because she wants to learn about the city and write about it. While convincing him for the interview, both of the fall in love at first sight. Kaashi introduces Devina to his family which includes his life, his sister Ganga. On one not-so-fine day, Devina informs Kaashi that Ganga has not returned from college. Kaashi, in search of Ganga, turns to a detective along with Devina. The case takes new twists and turns at every point in which the prosecutor claims that Kaashi has a mental problem and his sister has been dead since long. Manish Kishore’s story is outrageously bad. It could’ve actually been a decent thriller only if it was brushed well. It’s so naive and juvenile at places you can’t do anything but laugh at the situation of you getting in that cinema hall. With horrendous dialogues such as “Zindagi guzaarne ke liye, dost ki nahi, hamsafar ki zaroorat hoti hai, mere hamsafar banoge toh bolo,” and “Aaj kal ki ladkiyo ko ho kya gaya hai, they’re spoilt”, the writing of the movie is a torture. Sharman is seen sharpening a spoon in the start which he uses to kill the audience by the end of the film. There are very few films in which the actor starts hamming even before coming on screen and this is one of them. From scene one, you know this role isn’t made for someone like Sharman Joshi. From the annoying dance in the start to delivering many melodramatic dialogues, this role is a nightmare for a talent like him. Aishwarya Devan can’t act! She might be good down south but at-least in this film she is bad. She looks beautiful but when it comes to acting, her expressions fades her beauty. The casting director should get special recognition for picking up talented people like Govind Namdev, Akhilendra Mishra, Manoj Pahwa, Paritosh Tripathi, Manoj Joshi and putting them in the worst movie of their career. Dhiraj Kumar’s direction is all the synonyms of bad! He divides the scenes with tacky transitions making them look outdated. Even if Rajkumar Hirani was the director of this film, this would’ve been the similar level of torture it is. 7 songs including 2 reprise versions out which I guess five of them come before interval. Just guess the level of irksomeness I’ve been through while watching the film. The sound that metal detector does, while you get yourself security checked, is far better than listening the songs of this film. All said and done, there are films which are bad but qualify for the trashy category because if the unintentional humour they produce. Kaashi has couple of such moments but rest of the time it’s a big fat bore. Kaashi In Search Of Ganga Movie releases on 26th October, 2018. Share with us your experience of watching Kaashi In Search Of Ganga Movie .